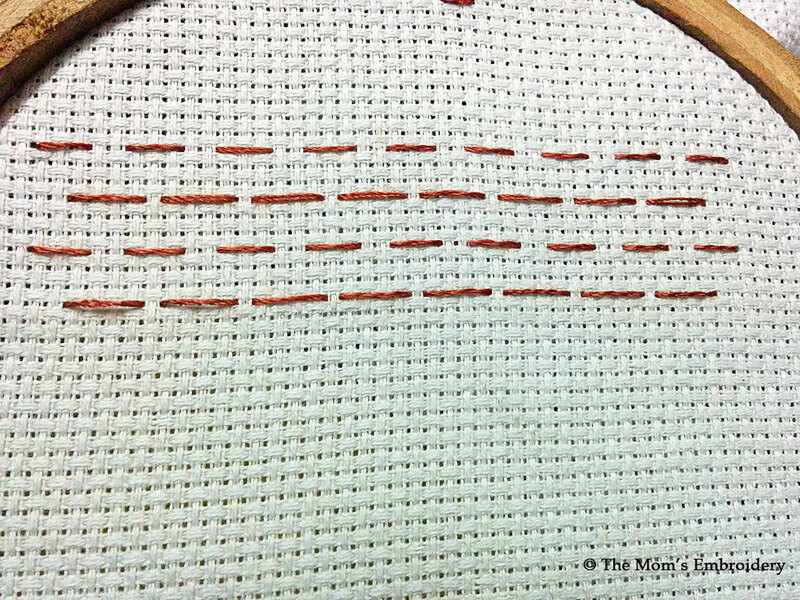 Japanese darning stitch creates a nice geometric pattern. The pattern looks like a bunch of pi sings are joined together. 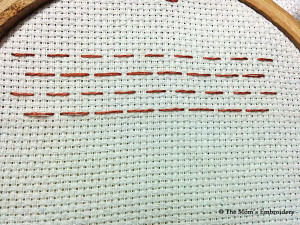 For this embroidery the running stitches need to be done in brick pattern. 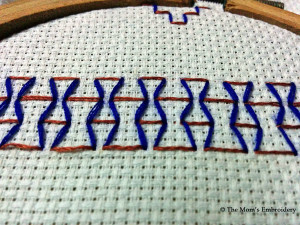 These stitches look good as borders or as fillings. 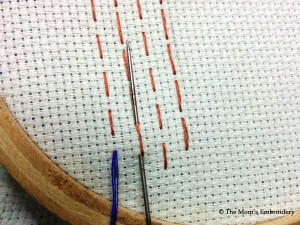 Before starting the embroidering, its better to do the outline on the fabric. 1. Do few rows of running stitches. 2. 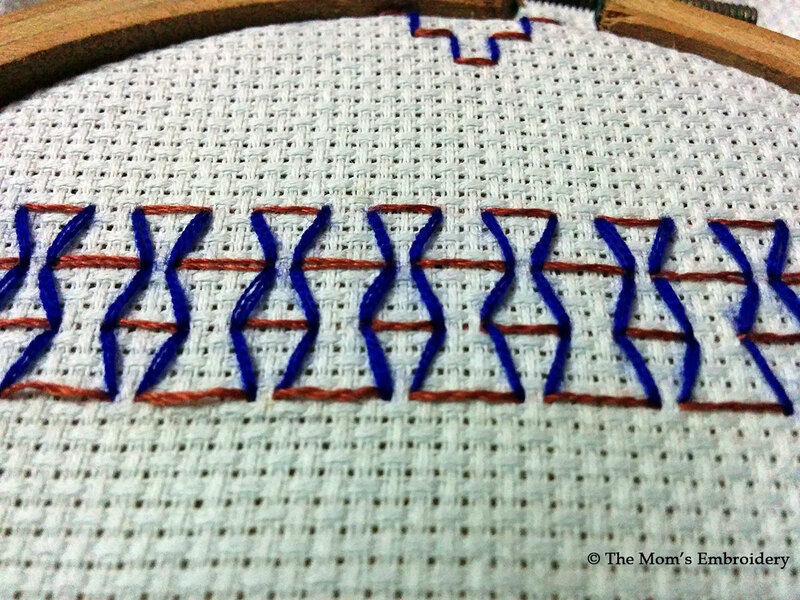 The running stitches in the second line should be placed in between the running stitches of the first line. 3. 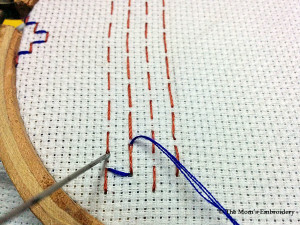 After finishing the foundation, join the ends of running stitches (leave the outer ends of the first or last stitches of the rows). Its better to make the run stitches bigger. 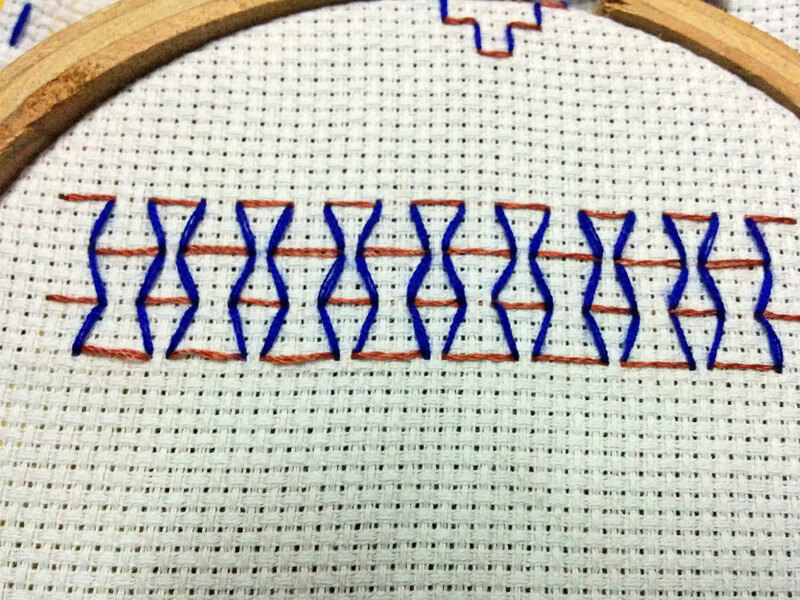 Because, with the bigger stitches, the pattern looks nice. 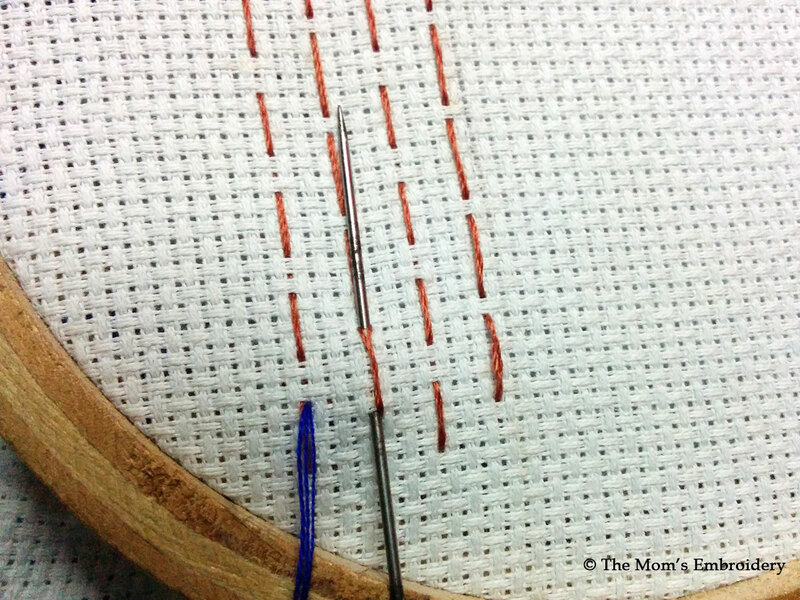 While doing this stitch, I felt this is important to maintain the length of the running stitches. 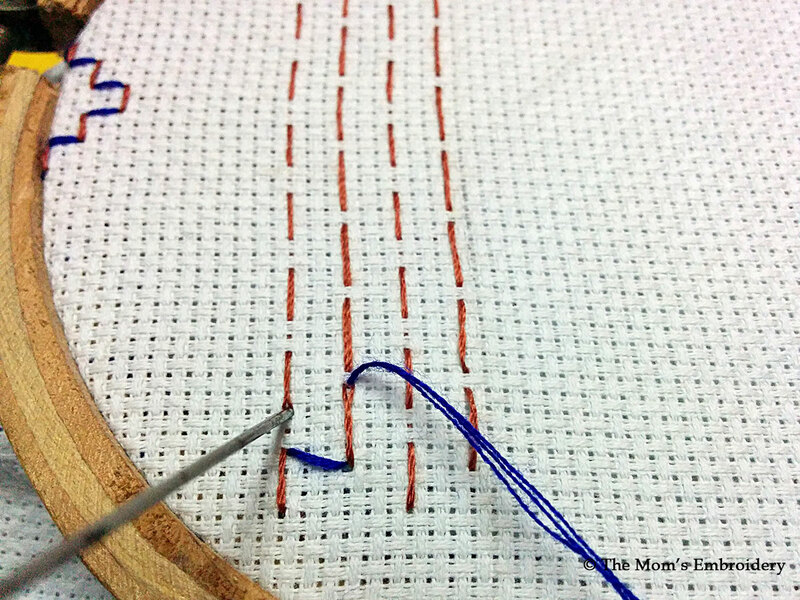 The length should be same for each stitch. 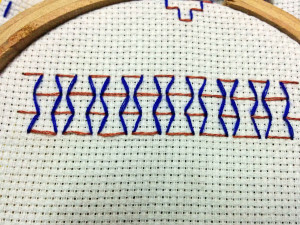 And the difference between one stitch to another stitch, needs to be same as well.